Former Massey Energy CEO Sentenced To 1 Year In Prison Over Upper Big Branch Mine Explosion : The Two-Way The former Massey Energy CEO also must pay a $250,000 fine for his role in a 2010 mining disaster that killed 29 miners. Former Massey Energy CEO Don Blankenship was sentenced to the maximum of one year in prison for conspiring to break safety laws and defrauding mine regulators at West Virginia's Upper Big Branch Mine, which exploded in 2010, killing 29 men. Four months after former Massey Energy CEO Don Blankenship was found guilty for his role in a 2010 mining disaster that killed 29 miners, he has been sentenced to the maximum one year in prison and another year of supervised release. Judge Irene Berger also imposed a maximum $250,000 fine, which is due immediately, West Virginia Public Broadcasting's Dave Mistich reports for NPR's Newscast unit. "Blankenship was convicted in December of conspiring to violate federal mine safety laws — a misdemeanor," Mistich said. "The charge stemmed from an investigation into the April 2010 explosion at the Upper Big Branch Mine near Montcoal [W.Va.] that killed 29 men." It was the worst mine disaster in the U.S. in 40 years. West Virginia Public Broadcasting reports that Blankenship, speaking to the court during sentencing, professed innocence on the conspiracy charge and "attempted to apologize to family members of those who lost their lives at Upper Big Branch." The judge cut him off and said, according to the station: "You should be someone that we are able to tout as a West Virginia success story. Instead of being able to tout you, we are here." As The Two-Way reported at the time of the verdict, "Blankenship was acquitted of two counts of making false statements," meaning he avoided facing the potential 30-year prison term prosecutors had initially sought over the explosion at the West Virginia mine. "During a short recess Wednesday morning, Betty Harrah, who lost her 40-year-old brother Steve in the blast, expressed her frustrations over Judge Berger not allowing victims' families to speak at the hearing.
" 'Her not allowing us to actually, finally, to say something to that man is not right. If he has the right to speak, we should have the right to speak,' said Harrah." Other family members shouted at Blankenship as he left the courthouse. "We buried our kid because of you," Robert Atkins shouted, according to Ashton Marra of West Virginia Public Broadcasting. 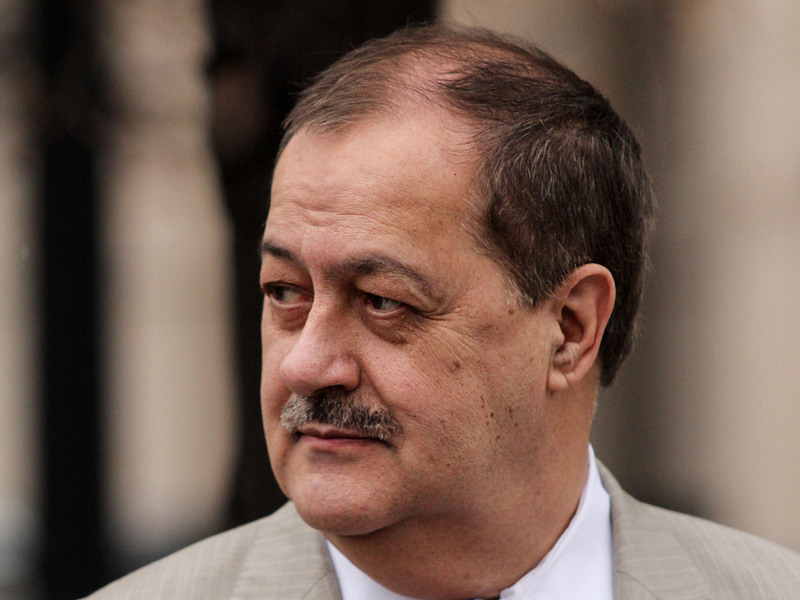 According to Marra, Blankenship said of the families, "I feel badly for them. It's a lot of emotion and that's understandable." After the guilty verdict was handed down in December, Blankenship's attorneys said they planned to file an appeal, but as Mistich reports, one has not yet been filed.